There are so many fun Ocean Facts for Kids! 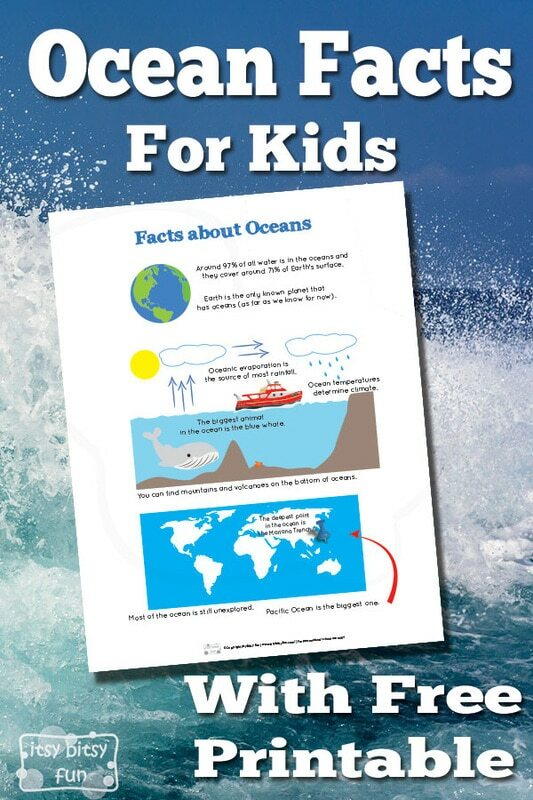 Let’s learn with facts about oceans for kids! We already learned about continents and oceans but now we are taking a closer look at the deep blue. I will be leaving out a “fact” that there are 5 oceans as different school systems teach different numbers – you can have 4 or 5 or even look at it as one big global one (will be totally ignoring this definition haha). Let’s learn about these masses of water! Around 97% of all water is in the oceans and they cover around 71% of Earth’s surface. Pacific Ocean is the biggest one. You can find mountains and volcanoes on the bottom of oceans. The deepest point in the ocean is the Mariana Trench. Oceanic evaporation is the source of most rainfall. The biggest animal in the ocean is the blue whale. We have explored less than 5% of the ocean (to date). 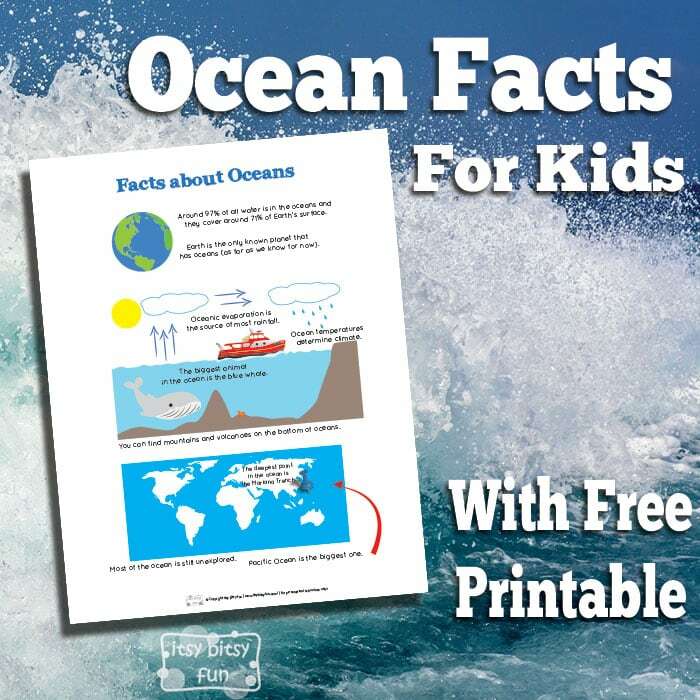 Get your free Printable PDF with Ocean Facts here. Want more? Be sure to check the cloud facts for kids too! Also check these rabbit facts for kids!